What if you wake up on Sunday morning and find some pages missing on your website? Or let's say you are not able to find your website anywhere over the web? It would be simply a nightmare for you. Isn't it? You might not have experienced this yet, but it is sure that you would have definitely heard about data threats and website getting hacked overnight. As the usage of mobile apps and smartphones is increasing rapidly, it is giving an open invitation to the hackers to peep into your network and fetch the confidential information out of it. As security of your website data and customer data is becoming a major concern, it becomes necessary that give a thought about the web hosting vendor you are using. Are the hosting plans suitable as per your website requirements or not? 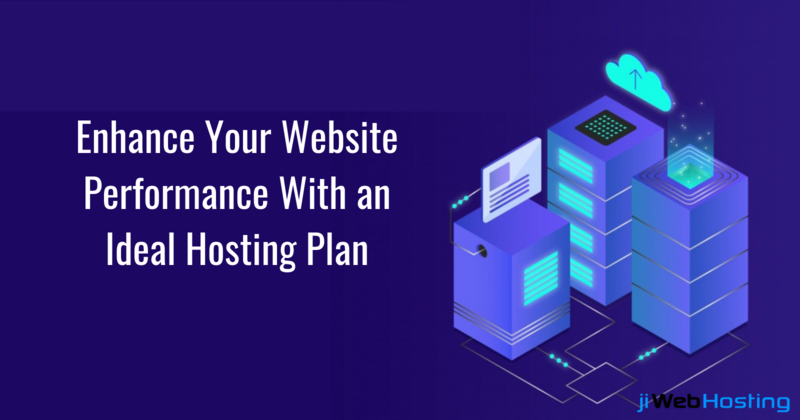 If your hosting plan was suitable for you when you just launched your website, doesn't mean that the same plan will be right for your website in the coming future. As your website grows day after day, your demands will definitely grow and you can't be sure if the plan will be able to fulfill the requirements or not. At this point, you need to realize that it's time to switch to a better hosting plan or another hosting vendor. Still not convinced and need more reasons why you need to upgrade your hosting plan? Here are a few signs that indicate that you must upgrade your hosting plan. Slow speed during peak hours: If your website is taking a long time while loading and the user have to wait, it means you are lacking somewhere. Customers expect quick and fast services, so you need to check the hosting plan if the plan is suitable for you or not. Otherwise, make a switch. Sudden traffic spike: Getting a good customer engagement on your website is good news, but if due to more traffic the website gets more load the website might become slow. And if this is the case, this directly indicates you are using the wrong hosting plan. Restricted security features: If your website is dealing with customer's confidential data, it becomes necessary to stay concerned about the security factors. Most of the VPS hosting plans come equipped with in-built security factors which have SSL and other encryption techniques for safeguarding the data. Surplus downtime: If your website is facing frequent downtimes, be prepared to lose customers. Nobody loves to see blank pages on their screen. And if this is happening on your website, you need to rethink about your hosting plan or in fact vendor. Customization: If you have a shared hosting plan, it's quite obvious that you would have some limited resources configured on the servers. But as your website grows, so will your requirements get bigger and you'll require more of an independent resource. So, you can go for some other relevant hosting plans. If you are facing any of the above consequences on your website, it's the right time to look up for a reliable web hosting provider for your website. This will not only uplift the customer's experience but also reduces the burden over you while offering more secure solutions. Want to know more about web hosting? Get in touch with us and discuss your queries with our experts. Our team would be glad to hear from you.